Anna Paterek took her horse, Magic, to a river with the hope of curing his fear of water. At first she tried to ride him into the river, but Magic was very cautious. So Anna got off and walked him into the river herself to show it was safe. What happened next Anna described as "the best thing ever". Magic started splashing around in the water, completely soaking his owner. So it seems you can lead a horse to water, but there is no guarantee you will stay dry. 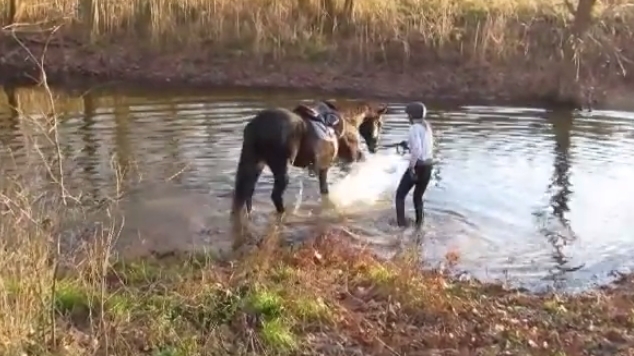 Responses to "Horse's amazing reaction when walking in river water for the first time"
Just like a big kid - too funny!